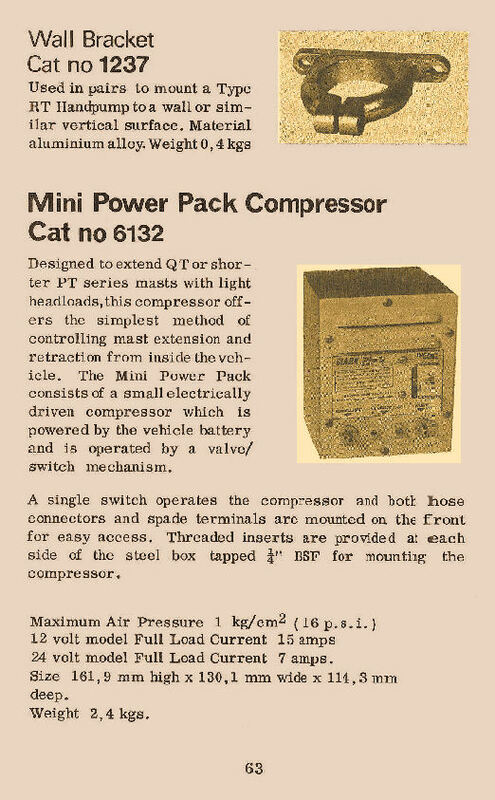 Illustrated on this web page, for historical purposes, are a range of Air Supply Accessory pages from Clark Masts early 1970's catalogue. 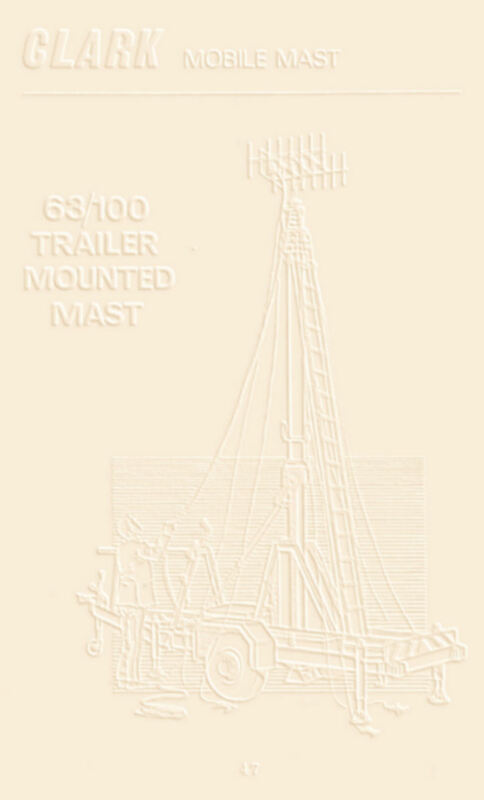 Today's Clark Masts range of Air Supply/Mast Controller equipment can be seen HERE. 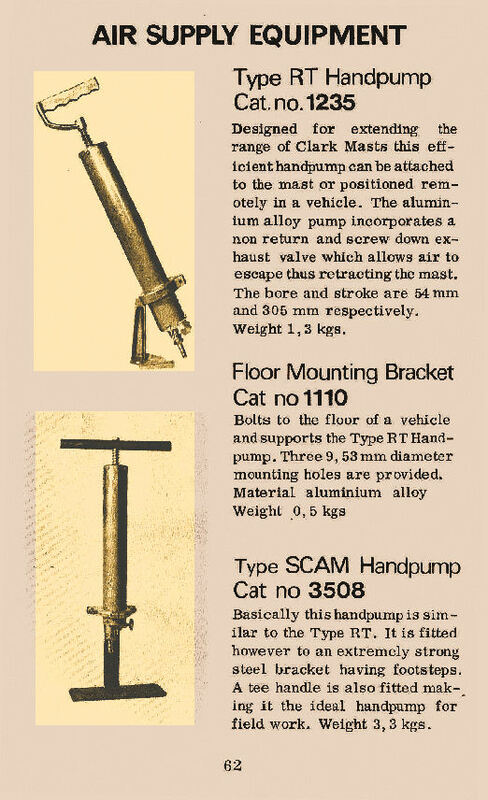 Clark Masts produced a range of Air Supply Accessories for their late 1960's early 1970's pneumatic masts. 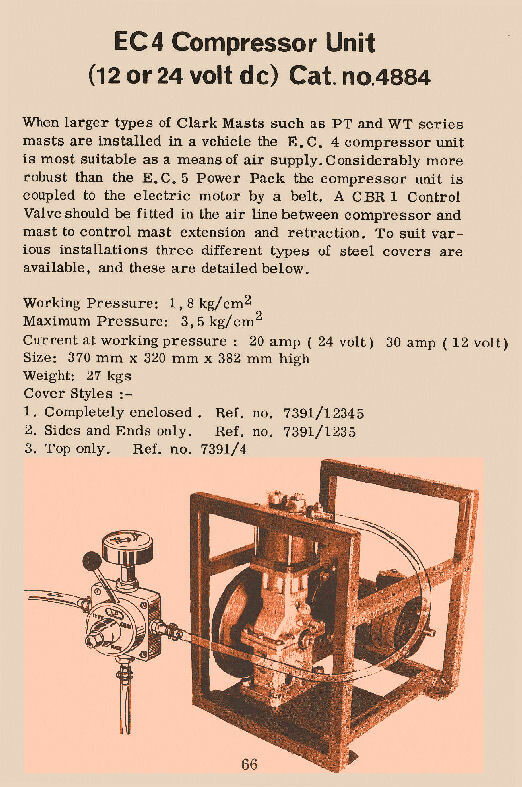 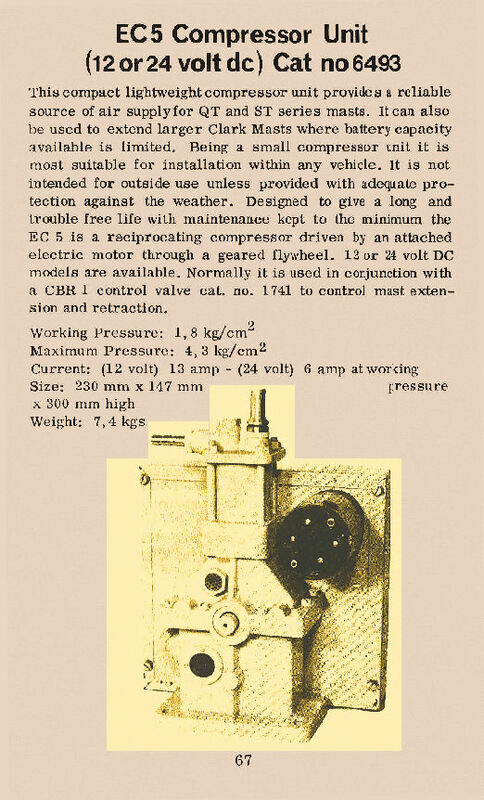 Included were such items as Handpumps and Mast Controller/Air Sources (Compressors) for 12 and 24 volt DC operation. 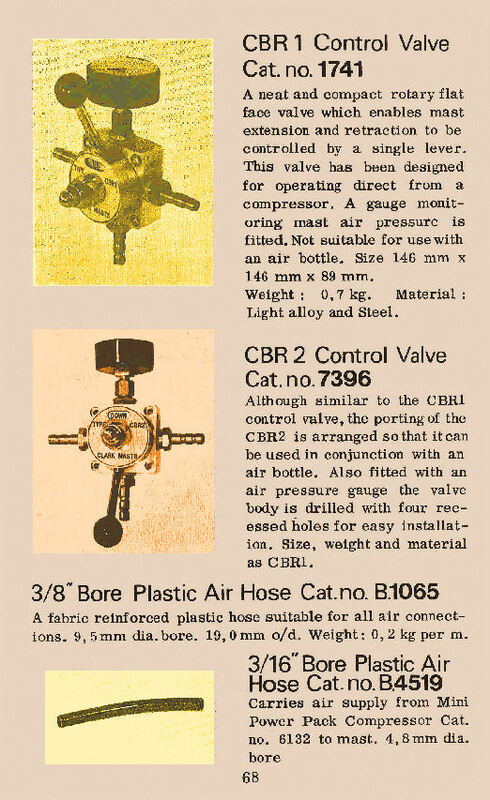 Various Air Control Valves with built-in Pressure Gauges for use with Clark Masts air-operated masts that were intended for use with their larger compressors or a vehicles own air supply.